Browne McGregor Architects provided full architectural, engineering and interior design services for an approximately 5,500 s.f. 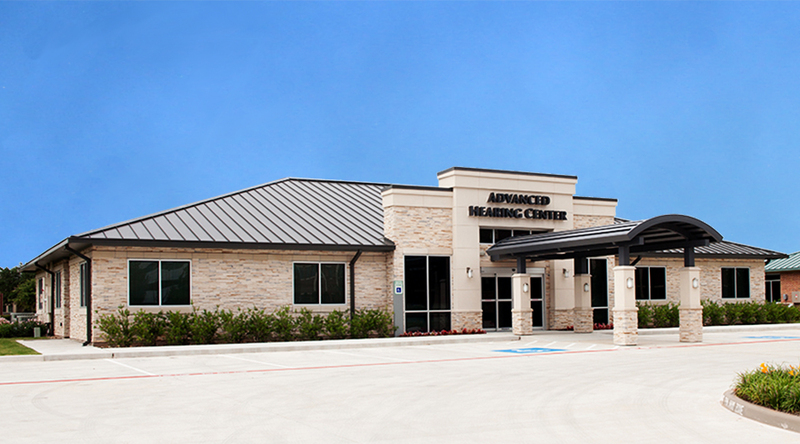 single story building for Advanced Hearing Center, located on a 0.75 acre site in the Lake Pointe Town Center development in Sugar Land, TX. The project consisted of a wood frame building with stone veneer, metal roof and prominent covered drop-off, as well as, ample parking, driveways and a dumpster enclosure to serve the medical office building. Browne McGregor Architects also provided construction administration services throughout the bidding, permitting and construction of the project.